If your hardwood floors are in good shape with no deep scratches, dings, dents or warped boards and they are just lacking the shine and luster you see in new wood floors then a “Screen & Shine” or “Buff & Coat” job might be what you need. A hardwood floor screening machine is quite similar to what you may have seen being used in your supermarket to clean and buff linoleum or vinyl floors. Hardwood Floor Screening / Buffing Machine. The buffer machine uses a large, circular soft pad with sandpaper “screen” discs on it to lightly and gently take off and the top coat finish and buff the wood floors in preparation for a new finish coat(s). Having your wood floors screened instead of sanded is a quick, cost-effective way to get them to shine and look like new again. 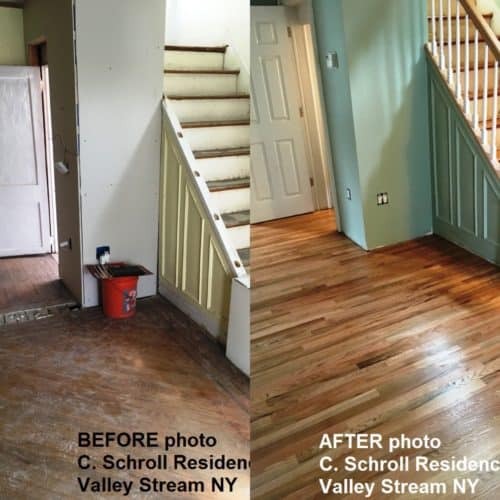 If you think your wood floors are in fairly good shape and just need to be cleaned and shined, call JOE PALUMBO at: (516) 322-8630. 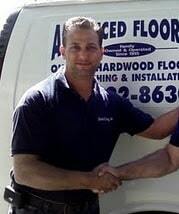 Located in Westbury, NY, Joe will come over and give you a fast, free estimate and let you know if your wood floors can be brought back to looking new with a “Screen & Shine” job. A hardwood floor belt sanding maching like this one costs about $5,000 and is not a machine for a Do It Yourselfer! 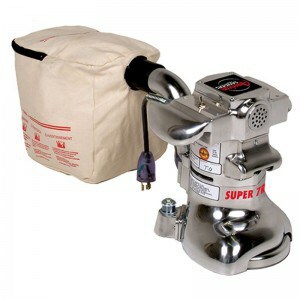 Sanding hardwood floors uses a heavy duty belt sanding machine also called a Drum Sander. This machine sands the top of your hardwood floors down far enough to remove all scratches and imperfections and makes them perfectly flat and smooth like newly milled wood again. This is what most wood floors need if they have not been refinished in years and/or have been damaged, dinged and scratched from heavy traffic and wear. 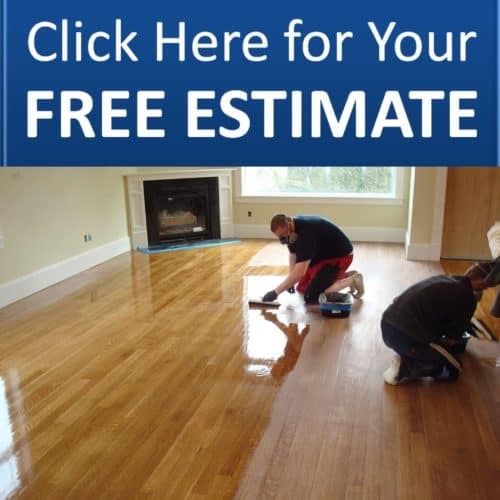 If you have deep scratches on your hardwood floors, perhaps where someone moved heavy furniture across it, this is a situation where you want your wood floors sanded. Professional Belt Sanding machines for hardwood floors can cost up to $5,000 and are not anything a novice or DIY homeowner wants to try. These machines require experience and skill to operate as the sanding belt is very aggressive and unless you have a “feather” touch you risk having the belt sander burrowing down into the wood and damaging the floors. 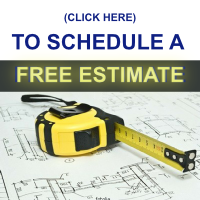 We use drum belt-sanders for most of the hardwood floor refinishing jobs we do on Long Island. Sanding wood floors like this takes the top layer of wood off and brings them down to clean, untarnished wood and makes them look like new again. The way the process works is the hardwood floor belt sander operator goes over the wood floors several times with this machine, using progressively finer sandpaper on the belt. It is absolutely vital that an aggressive drum sanding machine such as this be kept moving! If you also the sanding belt to stay in the same spot it will burrow deep ridges into your wood floor. 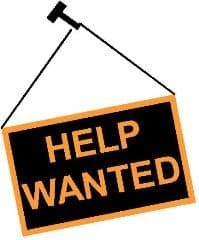 The operator of a hardwood floor drum sander also needs to have the experience and skill to smoothly raise and lower and drum sanding belt each time he or she starts and finishes a “pass” or “run” across the floors. Failure to smoothly raise and lower the drum will result in uneven, bumpy floors that give a “washboard” effect. Really bad mistakes while operating hardwood floor sanding machines are obvious when they happen but unfortunately the subtle mistakes of a novice only become obvious once a finish coat is put on the floors. 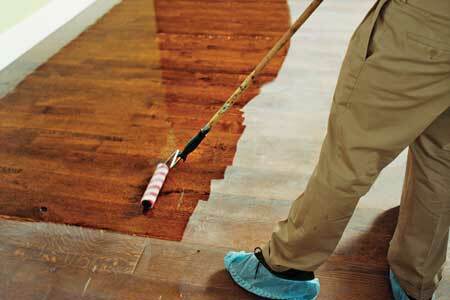 Not the time you want to find out you need to re-sand your floors to get them smoother! Once you put the finish coat on is when you really see the difference between the skill of an experienced hardwood floor refinisher and an inexperienced DIY-er. When we sand hardwood floors with a belt-sander, we also have to use an Edge Sanding Machine because a belt sanding machine can only get so close to the edges of the room. An Edge Sanding machine allows us to sand right up to the walls and get in small tight places like corners and closets. It uses a disc of sandpaper rotating at high speeds. Professional edge sanding machines for refinishing hardwood floors can cost up to $2,000 and also require a high level of skill to operate. The edge sander must be held perfectly level and be kept moving as you edge sand the room or you can risk taking gouges and crescent moon shaped divots in the wood floors. Let’s be clear, we are not trying to scare anyone with this information. Sometimes, due to limited budgets a capable homeowner will want to refinish hardwood floors themselves. Just be aware of the issues we are discussing here. Be careful while using heavy duty sanding machines on hardwood floors. If you have a balanced, “feather” touch while running them you should be okay. Just please do not underestimate how quickly they can sand divots into your wood floors! 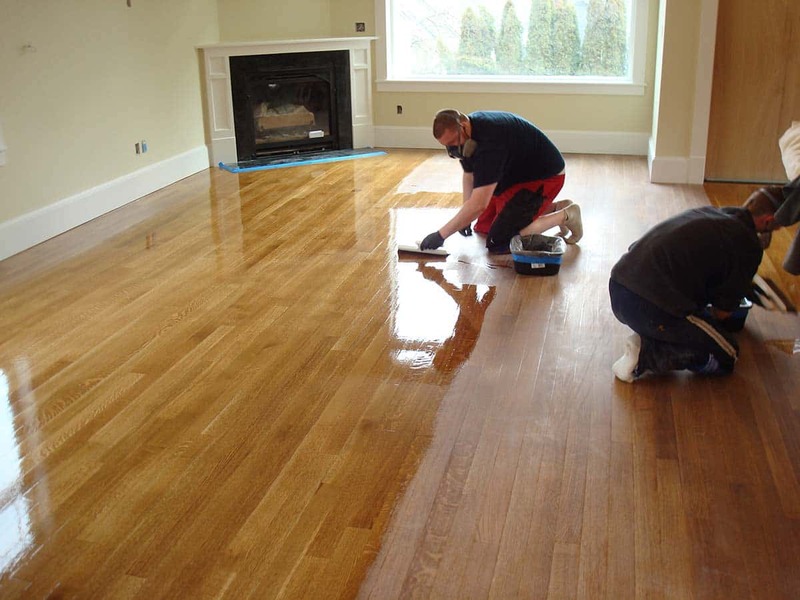 Take these tips we are providing here, maybe watch some YouTube videos too, and by all means, refinish your hardwood floors yourself. It’s not brain surgery and can be done! 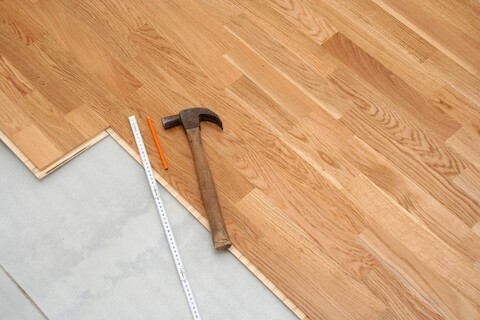 As we work Edge Sanders over wood floors we progressively use finer sandpaper until the surface is smooth and flawless. 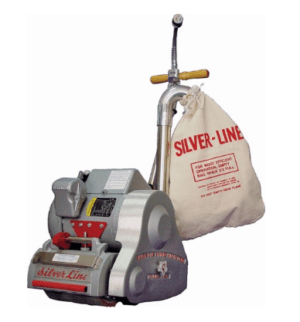 Once all the hardwood floors have been gone over with the Drum Belt Sander and the Edge Sander and the whole floor is blended into a silky smooth surface, we introduce the Hardwood Floor SCREENER aka BUFFING MACHINE. This is the final step in getting hardwood floors prepared for top finish coats of water or oil based polyurethane. 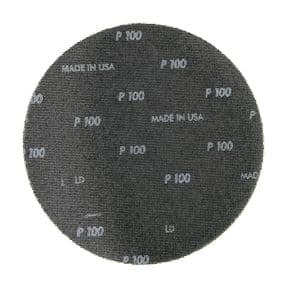 A buffing machine uses progressively finer sanding screens until it is sanded as well as fine furniture might be. Wood floor screens for a buffer machine. Once your hardwood floor refinisher is satisfied that the wood floors are sanded properly, the finish coats start to go on. The first coat is a WOOD SEALER. 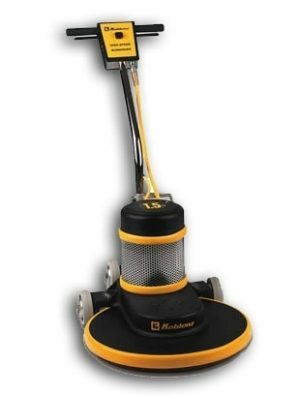 This will always bring up the grain of the wood and your floors will no longer look as smooth as they were. Do not panic. This is supposed to happen. It is necessary to SCREEN the floors again and CUT THE GRAIN off to prepare the wood for the finish coats of water or oil based Polyurethane. If all the above steps were done properly, including careful and thoroughly vacuuming all dust before laying on finish coats of polyurethane, then your floor should be looking as beautiful as new in the end.